Calling Xzibit. 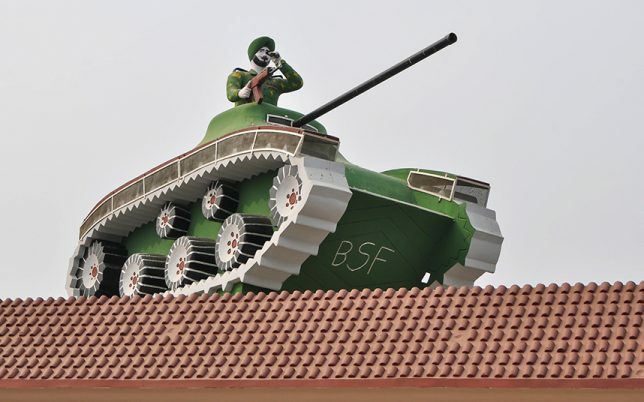 Dude, when I said I wanted a tank on my roof I didn’t mean… wait a minute, that’s brilliant! 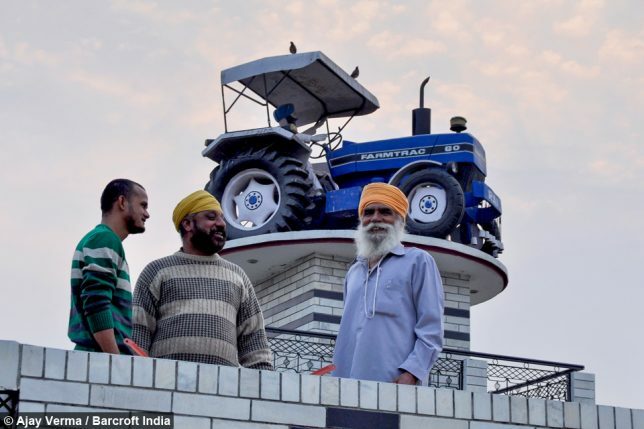 The awesome water tank tank featuring a turbaned Sikh driver above rests atop the home of Bahara Singh in Jandiala village, Jalandhar district. 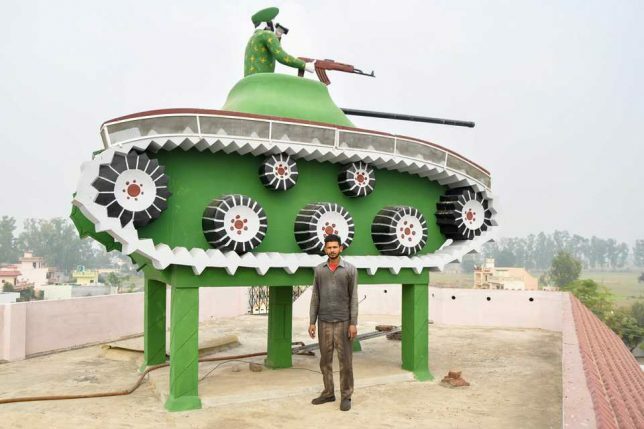 “Many times people come to this house only to click pictures and check out the tank,” states Tanvir Singh, an employee of Bahara who works at his house. Evidently Bahara’s neighbors don’t at all feel threatened by the militaristic display… one might say they’re getting a kick out of it instead. 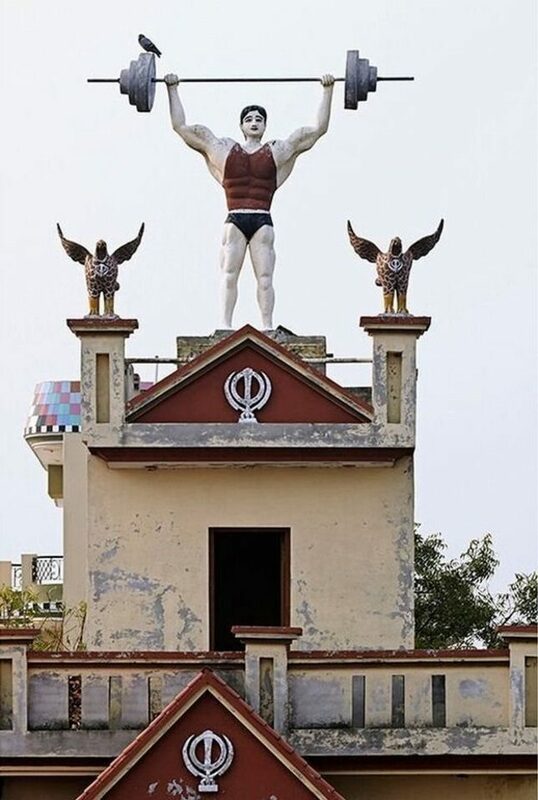 Some folks celebrate athletic triumphs with a trophy but Punjabi homeowners often feel the need to go a tad further. 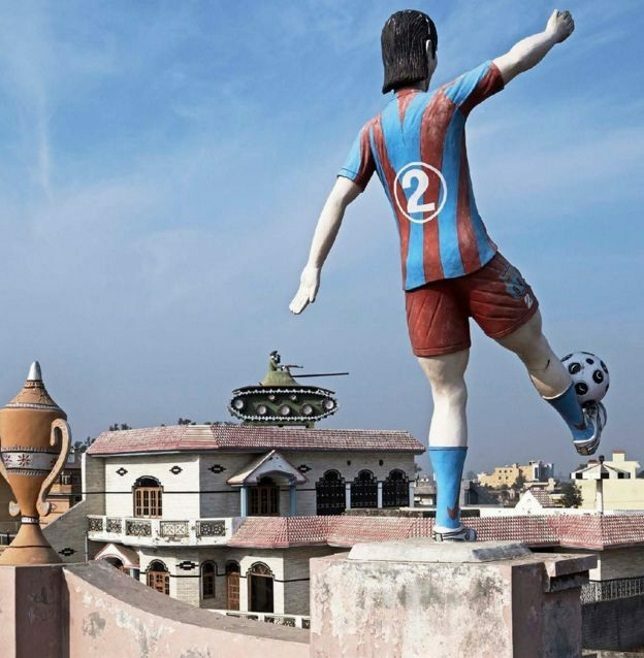 The sports-themed water tank art above pretty much shouts from the rooftops the homeowners’ love for competitive games. Well plow me down! 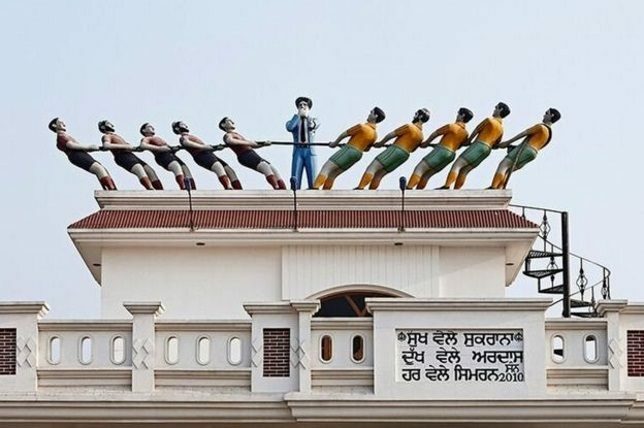 Punjabi homeowners occasionally take shortcuts when it comes to their abodes’ water tank art. 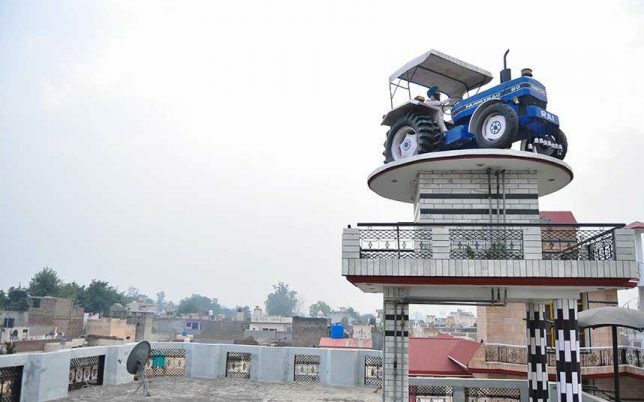 Take the example above; a replica of a tractor mounted on top of a rooftop water tank. 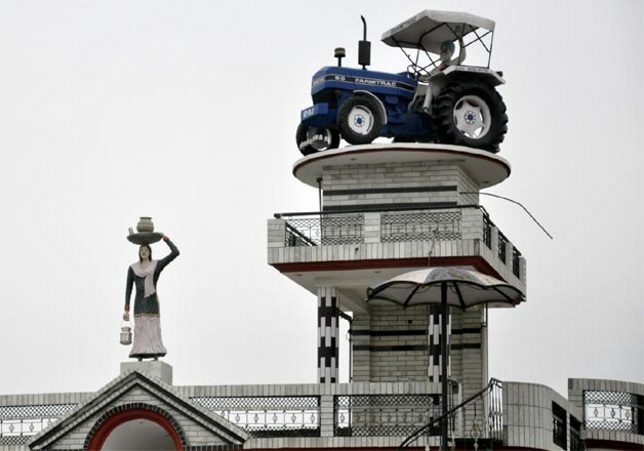 The non-functional sculpture was commissioned by the grandson of a man who was the owner of the first tractor in his village. Smirk all you want… what’s YOUR claim to fame?